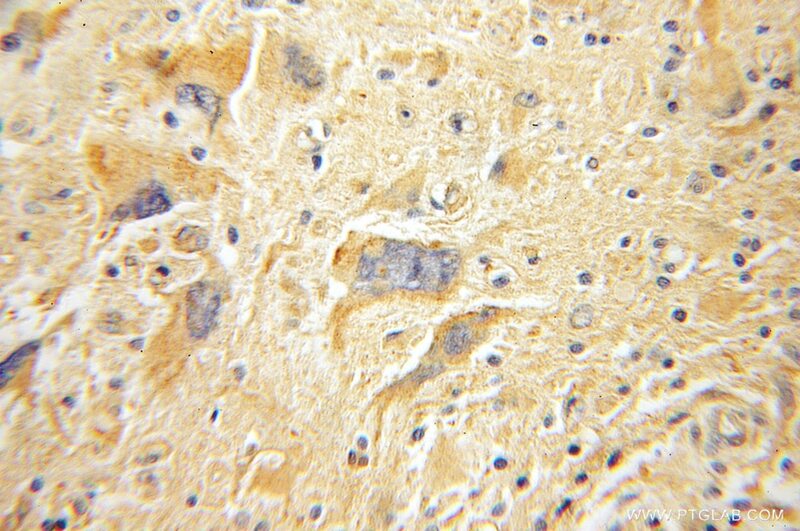 IP Result of anti-FAK (IP:12636-1-AP, 3ug; Detection:12636-1-AP 1:2000) with mouse brain tissue lysate 8000ug. FAK (Focal adhesion kinase 1) is also named as FAK1, FADK, pp125FAK, FAK and belongs to the protein kinase superfamily. 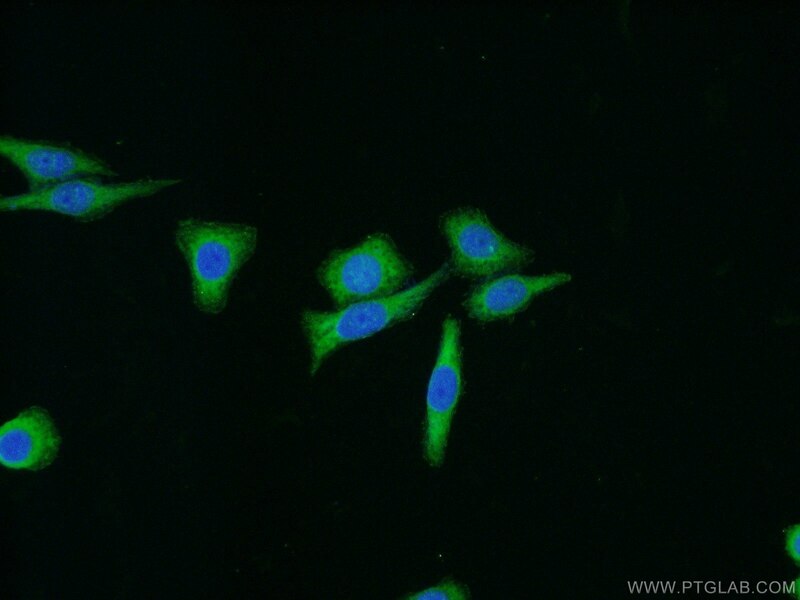 It is a critical tyrosine kinase that modulates cell adhesion, migration, proliferation and survival in response to extracellular signals (PMID:19664602). It also acts as a pivotal signal 'integrator', controlling and coordinating cellular responses that include cell migration, survival, proliferation and, epithelial tissue repair after DNA damage (PMID:20966971). 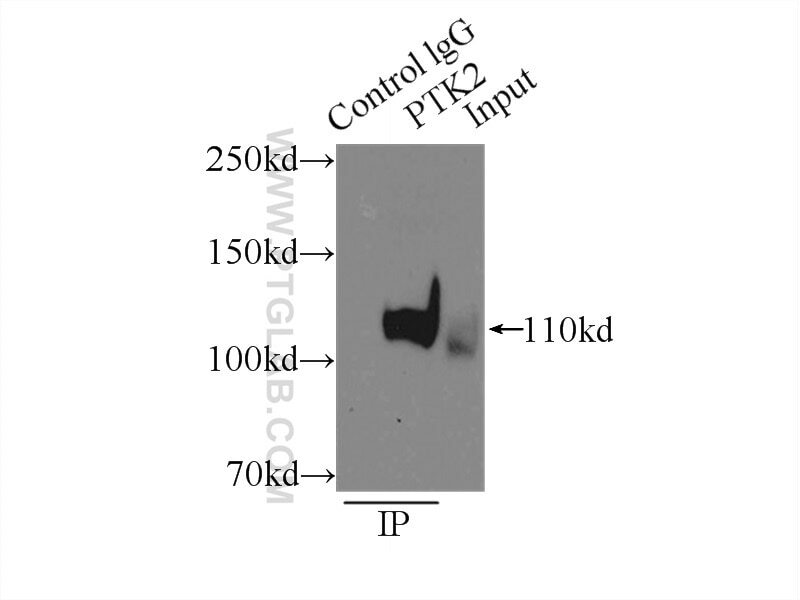 This protein has some isoforms produced by alternative promoter usage and alternative splicing, and the range of the molecular weights are 100-120kD and 40-60kD. Gain of miR-151 on chromosome 8q24.3 facilitates tumour cell migration and spreading through downregulating RhoGDIA. Effects of stable knockdown of Aurora kinase A on proliferation, migration, chromosomal instability, and expression of focal adhesion kinase and matrix metalloproteinase-2 in HEp-2 cells. A monoclonal antibody targeting neuropilin-1 inhibits adhesion of MCF7 breast cancer cells to fibronectin by suppressing the FAK/p130cas signaling pathway. Arene ruthenium(ii) complex, a potent inhibitor against proliferation, migration and invasion of breast cancer cells, reduces stress fibers, focal adhesions and invadopodia. 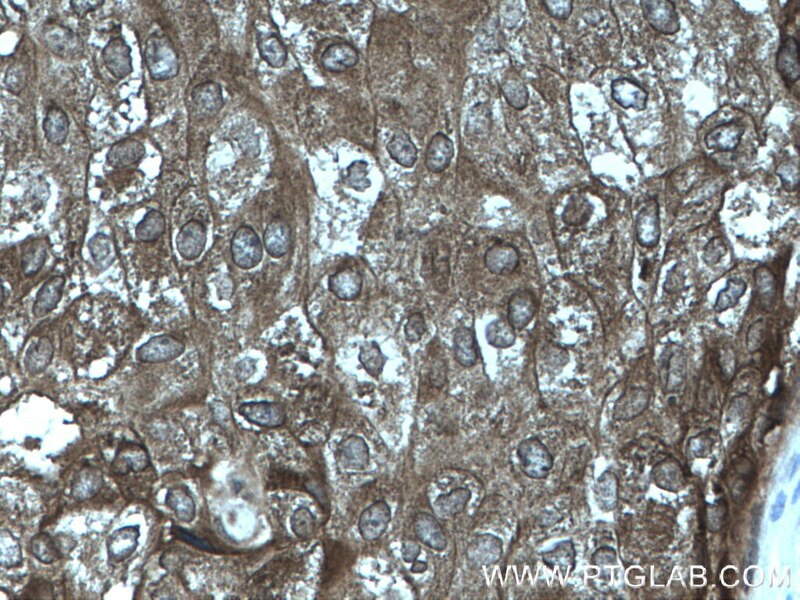 Immunohistochemical analysis of paraffin-embedded human breast cancer tissue slide using 12636-1-AP (FAK antibody) at dilution of 1:200 (under 10x lens) heat mediated antigen retrieved with Tris-EDTA buffer(pH9). 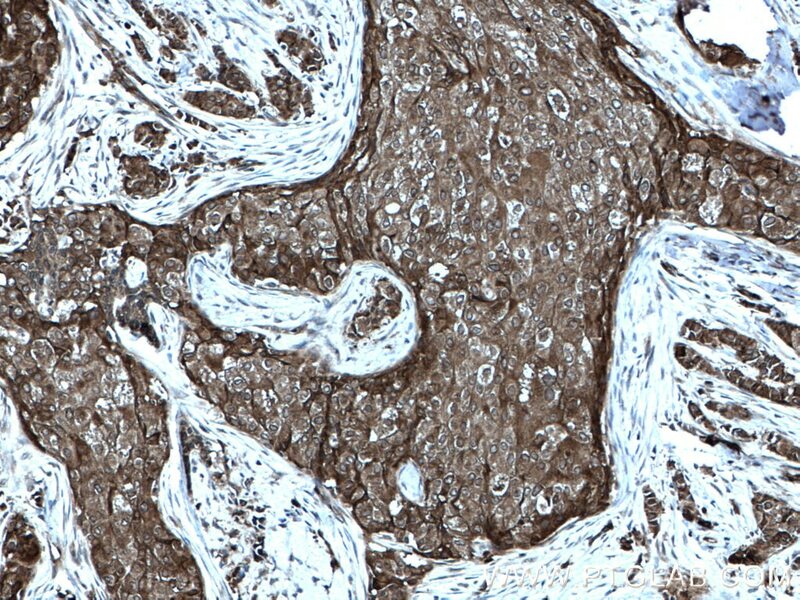 Immunohistochemical analysis of paraffin-embedded human breast cancer tissue slide using 12636-1-AP (FAK antibody) at dilution of 1:200 (under 40x lens) heat mediated antigen retrieved with Tris-EDTA buffer(pH9).